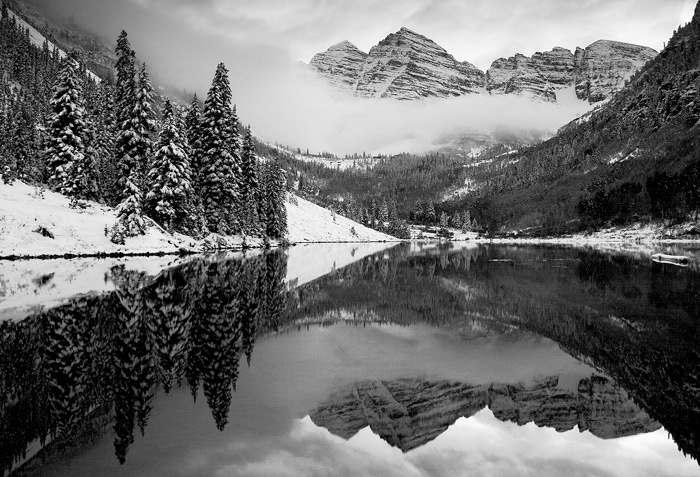 I took this photo of the Maroon Bells in late September. When I arrived at the location at 5:45 am it was still dark, but I set my camera up and waited for the magic moment. But because of the persistent wind, I didn’t take this photo until about 8:30 am when the winds calmed down long enough for me to capture the mountain peaks reflecting off Maroon Lake. Photo © copyright by Mike Barton.